If it’s natural beauty you’re after, Tabanan has no shortage of breathtaking vistas of terraced rice paddies, black sand beaches, and looming mountains. There is a real sense of authentic Bali here, as the rampant development of Bali’s southern coasts further to the east has not yet marred the countryside of Tabanan. Whether you’re in for some surfing, hiking up thickly forested trails, cruising around in a 4-wheel drive or simply relaxing in a luxury villa, Tabanan offers a scenic escape. The most famous attraction in Tabanan is Pura Tanah Lot, one of the most important Balinese sea temples. The temple itself sits on a rock off the shore, which makes it only accessible at low tide, and as it faces west the photo ops at sunset are divine … that is if you can manage to get a shot in that is free of the multitudes of tourists that descend on the site every afternoon. Keep in mind too that non-Hindu visitors are not allowed inside the actual temple. The Sangeh Monkey Forest is another big draw to the area. Set in 14-hectares of forest, the site is home to a number of roaming monkey families, as well as a small temple surrounded by nutmeg trees. The monkeys are nothing if not entertaining, although they can be a bit mischievous especially when they try to nick your belongings. Hold on to your camera tightly. 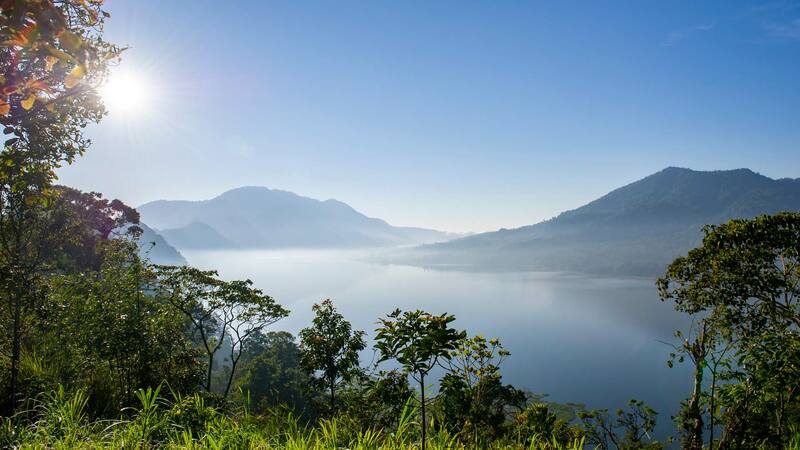 For postcard perfect views of UNESCO nominated rice terraces, Jatiluwih is a must on any sightseeing itinerary. These undulating paddies cascade down the sides of steep hills, and are interspersed with ingenious waterways that have been used for centuries to nourish the fields. 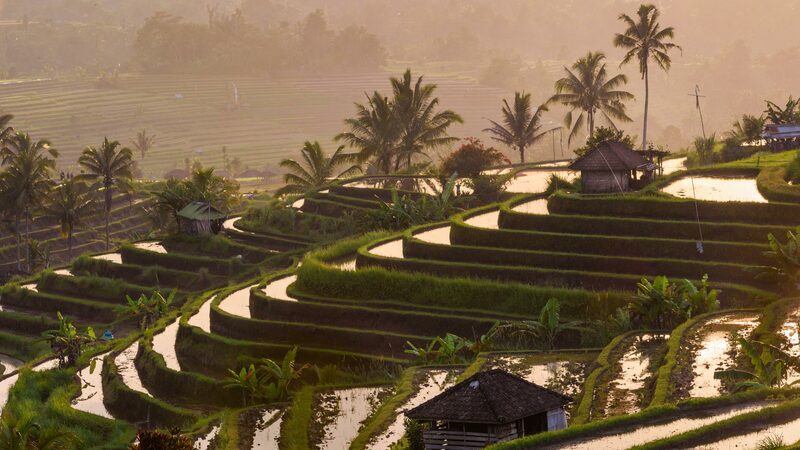 Most people hire a driver to take them to the lookout point, although for athletic types we recommend cycling the winding roadways overlooking the fields or trekking the rice paddies themselves to see the subak system up close and personal. The opportunities for adventures on land and water are endless in Tabanan, as the countryside is awash in coffee and fruit plantations, rippling rice fields, tropical forests and traditional villages, and the beaches offer world-class—and often little visited—surf breaks. From land cruiser tours to hikes up Mount Batukaru, cultural trips to temples, farms and Balinese homes, and epic sessions on the swells, Tabanan offers a wealth of activities. In addition, Canggu is just a short drive away with its golf courses, country club, horse riding outfitters and enticing restaurants, cafes and bars. It’s all about the great outdoors in Tabanan, so you’re most likely to find surfers, trekkers and adventure sports nuts here. Tabanan also has a real off-the-beaten-track vibe, so many intrepid travellers use the area as a base to jump off to the West Bali National Park and the remote beaches of West Bali. However, you don’t have to be the adventurous type to book into a gorgeous Tabanan villa, as you can spend your days reclining next to the pool, admiring the views of the mountains and rice paddies, and enjoying five-star service around the clock. Our dedicated Experts are ready to help you design your luxury holiday to Indonesia.